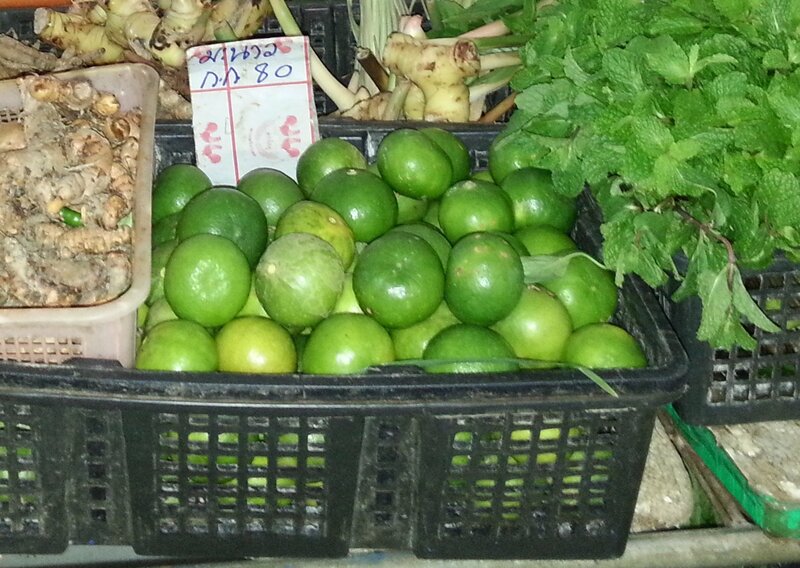 It has all these. I found only 1 minor thing which could have been better: no safe in the room. Other that my stay was perfect and I wish I could have stayed longer. The service was faultless: they take care of you here. There is a man who opens the main doors to the hotel and greets you. The front desk staff were efficient and spoke good English. A staff member took our bags up to the room and opened the door for us. In the restaurant they immediately came over with a baby chair and then took it in turns to try to entertain our not so happy child whilst we eat breakfast. Simplye things but they seem to be becoming rarer with the increasing number of chain hotels where the staff are kept to the bear minimum and the service levels decline. Not so at the Prachuap Grand Hotel. They employ enough staff here to provide a high level of service. From the bed, and even more so from the balcony, the view is stunning. 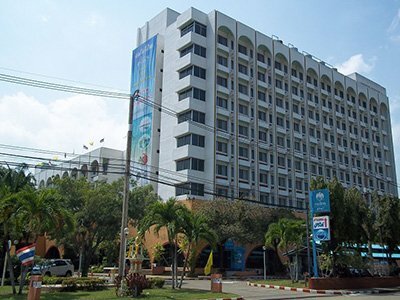 Prachuap Khiri Khan is a low rise city and the Prachuap Grand Hotel is one of the taller building in the town. Although the hotel is set back one block from the beach front, you can see over the roofs of the other houses from most of the hotel’s bedrooms to get a view of the bay and the hill top temple famous for its resident monkeys: Khao Chong Krachok. 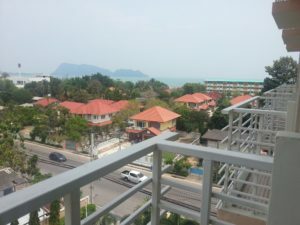 On the upper level of the hotel you high enough to feel the strong sea breezes which are common in Prachuap Khiri Khan. If you leave the balcony door open then you rarely need to use the air-conditioning during the day. The room is large and tiled in light colours and pastel linens which works well with the seaside town location of the hotel. The bed was soft, the bathroom was large with a separate bath and shower, the internet worked well, English language channels on the TV and tea/coffee maker in the room. Could not have asked for more, except for an in room safe. 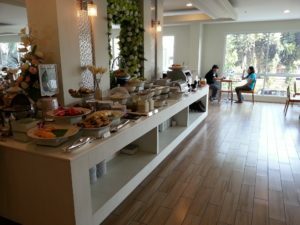 This a large hotel with good facilities. The lobby is large with a high ceiling and the restaurant is also large. Room service is available. 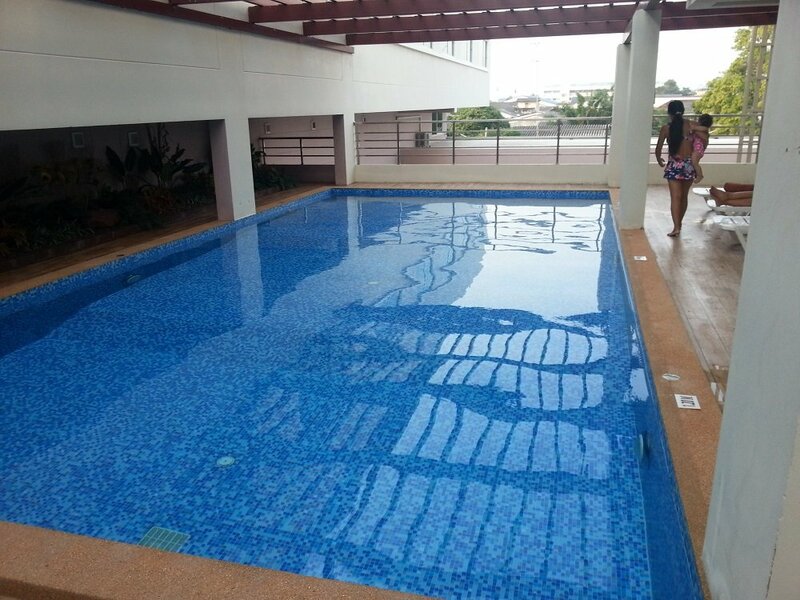 Upstairs on the 3rd floor there is a very pleasant swimming pool area. with showers and changing room. 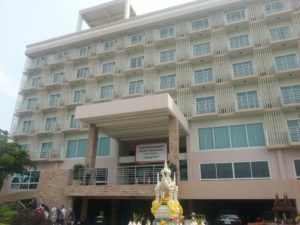 If you are looking for some to hold a function like a wedding or business conference the Prachuap Grand Hotel has a separate function room and regularly hosts weddings, trade shows, and business seminars. 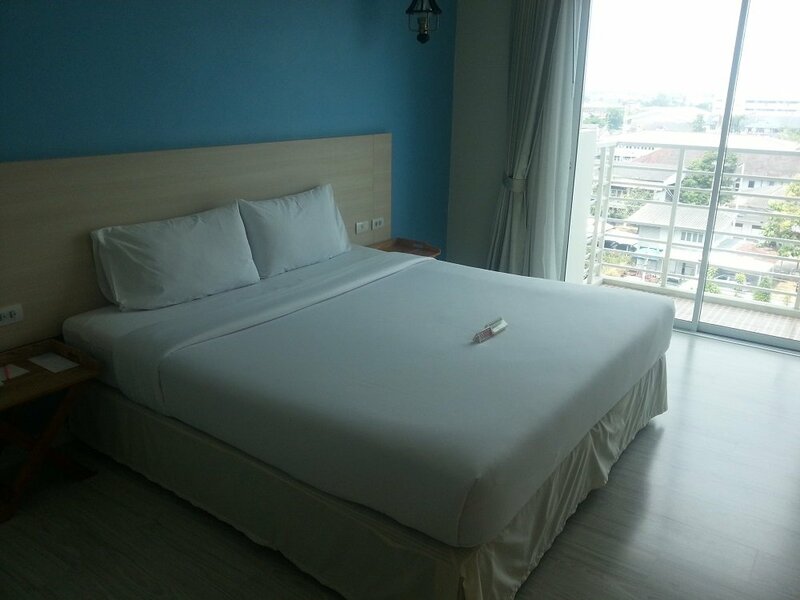 Our double room with buffet breakfast cost 1,316 THB per night booked online. For the standard of hotel this is great value for money. I have paid a lot more for a lot less elsewhere. Good location, good room, good service. 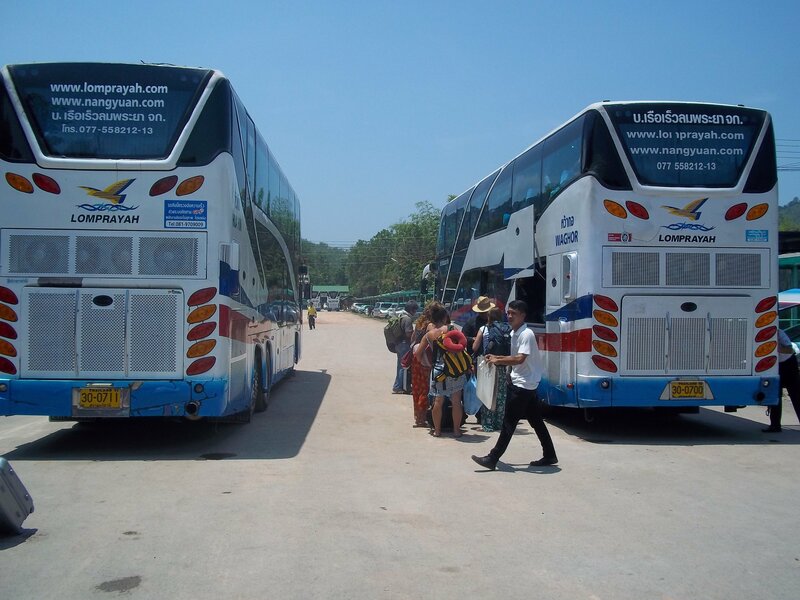 We expect that as Prachuap Khiri Khan becomes more popular with foreign tourists this new hotel, opened in 2014, will start putting up its prices. Go stay whilst it is still cheap.